The following article was written by Mike Eustace (17 July 2017) and published in the African Wildlife and Environment magazine of the Wildlife and Environment Society of South Africa (WESSA). It is reproduced with the author’s permission. Mike Eustace is an investment analysts and director of Parks in Malawi and Zambia. He is a founding director of “African Parks”. It has also been reproduced on the website of the TRUE GREEN ALLIANCE (TGA) in South Africa. I am writing this on the banks of the Bua River in Malawi. There were Black Rhino here in the 1960s. The only record of a White Rhino having occurred in Malawi was one shot on the Bua in 1896 and the horn, on an inscribed silver base, was recently on auction in London. CITES (The Convention on International Trade in Endangered Species) banned international trade in (rhino) horn 40 years ago. It was and still is their view that a legal trade in horn would increase demand and increase poaching. Well, maybe not. It depends on how the trade is structured. Very little thought has been given to designing a model for a regulated trade in horn that would reduce poaching. I want to suggest a “Smart Trade” model. South Africa could form a Central Selling Organisation, a monopoly that would control all legal sales of horn. Horn would be sold by the CSO to a cartel of retailers in the Far East. That structure would differentiate the legal horn market from the poached horn market. Members of the cartel would lose their profitable licences if they dealt in poached horn. Governments in the Far East could collect taxes on the legal trade which would give them an incentive to close down the illegal trade. They can do that by increasing policing. Nobody wants to encourage criminals. It is my belief that most of the demand for horn comes from China and that the main demand is for medicinal use. After hundreds of years of Chinese demand it seems unlikely that the major volumes have moved to Vietnam, as some suggest. It seems more likely that China has set up Vietnam as a conduit into China. In recent years, about 1,200 rhino have been poached annually in South Africa and about 100 elsewhere in Africa. Add to that some horn that has been stolen from stocks and the total annual supply is about 1,400 horn-sets or 5,600 kg. South Africa could supply 1,400 horn-sets, sustainably, without the need to kill one rhino. All the killing is absurd. The annual supply could come from stocks, from natural deaths and from farmed horn. SA has 26 tons of horn in stockpiles which could supply 2,300 kg p.a., natural deaths could supply 300 kg and private farmers could supply 3,000 kg. The retail price of horn is about $60,000 per kg and that high price limits demand. If the total supply was used in medicine at 5 gm per course, it would supply little more than one million Chinese. But, there could be 500 million Chinese that would buy horn at lower prices. Persuading 499 million not to buy horn would be insufficient to reduce poaching. “Demand Reduction” as a strategy to reduce poaching is, almost certainly, futile. A recent study by Dr Daniel Stiles has suggested that almost all of the current demand for ivory is from speculators. There is also likely to be a significant speculative interest in horn. That demand can be reduced substantially if the outlook is for stable rather than rising prices. The CSO would be in a strong position to keep prices stable because it will have access to large stockpiles and large on-going new supplies. Far Eastern governments can offer an amnesty to speculators to sell their stocks to the cartel, after which all illegal stocks will be confiscated, if found. The cartel can finance the purchase of stocks by issuing Negotiable Certificates of (Horn) Deposit to the market which will be easier and cheaper to trade than physical horn. Trade in NCDs will compete with the speculative market for poached horn and there will be no risk of confiscation. There is nothing new about all of this. The relationships between demand and supply and price are well known and the workings of markets are well understood. Illegal goods typically sell at a 30% discount to legal goods. The criminal trade will be faced with lower prices, higher risks and much lower volumes. At $60,000 per kg the illegal horn trade is worth $336 million p.a. All of that goes to criminals and is mostly profit. The ban has stopped the legal market but the criminal market thrives as a monopoly. Parks and private ranchers pay for all of the costs of which security costs in SA are about $100 million p.a. At $40,000 per kg and volumes of 5,600 kg, the wholesale trade could be worth $224 million to the CSO. As part of the negotiation to garner support at CITES, the CSO could undertake to receive only a small commission to pay for costs and pay $50 million p.a. for ten years to parks in Africa for the control of poaching. The balance of $174 million would be paid directly to parks in Southern Africa and to private owners who supply horn to the CSO. $50 million p.a. will be sufficient to control poaching in 50 parks in Africa. For parks to thrive, poaching needs to be controlled. That is all. One good man in a park with a budget of $1 million p.a. to pay incentives to existing rangers and to pay for information leading to arrests can make the difference between a declining park and a thriving park. Africa has 50 million tourists annually. That is less than Spain. Add an additional 50 thriving parks and an additional million tourists staying for 10 days at $200 per day and the additional revenue amounts to $2 billion. Parks could make a profit of 10% on that amount or $200 million p.a. The $50 million spent on anti-poaching becomes worthwhile. Suddenly parks become an important part of the economy and not a drag. Currently, conservation buys no votes in Africa and consequently budget allocations are minimal and inadequate. It is better to substitute the illegal trade with a legal trade and have the money to pay for anti-poaching and a positive future for parks. Parks are one of the few sustainable competitive advantages we should have but are seeing destroyed as we sit on our hands. Purists claim that conservation is a moral and ethical imperative and there should be no need for profit. That is a big mistake. If parks in Africa don’t pay they will disappear. In 10 years, South Africa’s rhino population should double to 36,000 and given thriving parks in Africa we can then sell surplus animals to them and add value to their tourist product. There are crocodiles on the sandbanks of the Bua now: survivors, because croc-farms supply the market with skins and there is little demand for wild crocodile. I can hear elephants in the bush along the river because African Parks have put them there as part of a trans-location of 500 elephant from Liwonde National Park and Majete Wildlife Reserve to the Bua in the Nkhotakota Wildlife Reserve. Vision and energy and the benevolence of donors has come together to make that happen. The trade ban won’t bring back the rhino to the Bua. Donors might but there will be a constant war with poachers and the rangers might lose that war if there is no legal trade to compete with the criminal trade. 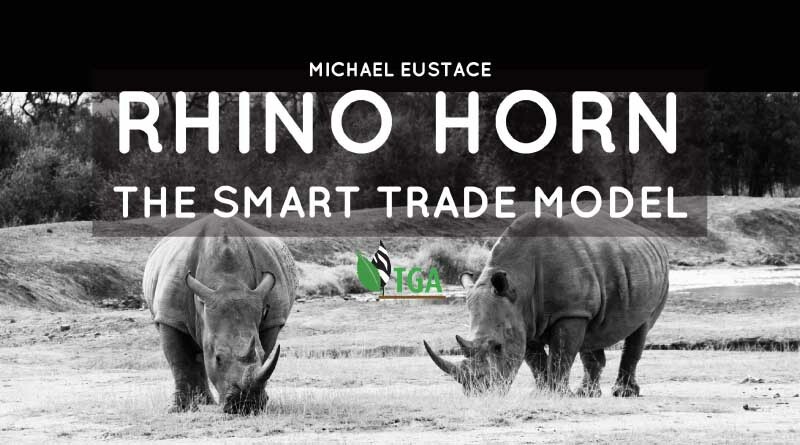 “Smart Trade” is a better plan for rhino, and parks, and Africa. It may represent the conservation opportunity of a lifetime. 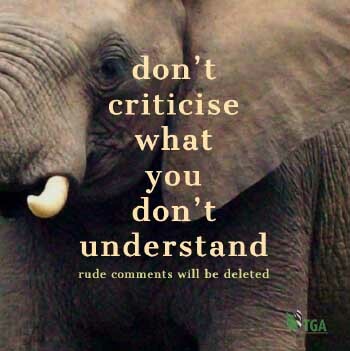 Comment on the Draft Regulations for the Domestic Trade in Rhino Horn. Great article/proposal! It just makes so much sense. What CITES has done has not and is not working, time for another approach. Africans should be farming rhino instead of cattle, sheep and goats. Shock Wildlife Truths: Irregularities surrounding the death of Cecil the Lion’s son.